Using a VPN is the best way to bypass internet filters and access blocked websites. With a VPN you able to access Facebook, YouTube, Twitter and other social networks which are locked from time to time. 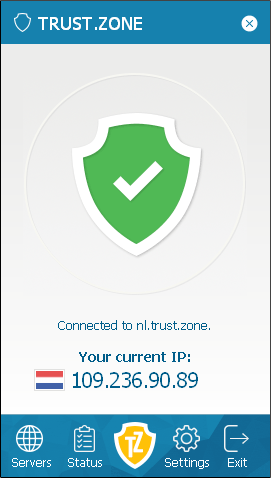 Trust.Zone VPN hides your IP address and location. Your browsing is private. Your online activity - downloads, chats, personal data are hidden from prying eyes. Your Internet Provider cannot see what websites you are visiting. VPN creates secured private tunnel between you and Trust.Zone VPN servers to pretend you are browsing from a another country. With a VPN you feel yourself anonymous in Turkey. Your online privacy is protected.